And just like we first reported a week ago, the DROIDX2 by Motorola will launch May 19 for online orders and in stores May 26 for $199. It will NOT launch with Gingerbread as we called just days ago, but will be upgraded at some point which we’re thinking is in the very near future. It has HDMI mirroring, a dual-core Tegra 2 processor, qHD 4.3″ screen, 512MB of RAM, 8GB on-board storage, 8GB pre-installed SD card, and a 8MP camera. 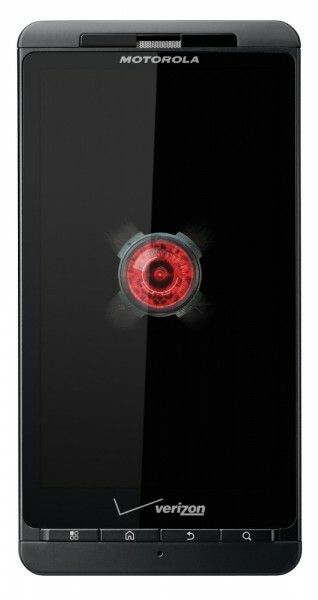 It should be a beast of a phone – if only it had that front-facing camera and the power of 4G LTE though, right? BASKING RIDGE, NJ, and LIBERTYVILLE, IL — Verizon Wireless and Motorola Mobility, Inc. (NYSE: MMI), today announced the second-generation DROID X2 by Motorola, designed for the consumer who does everything on their smartphone. The DROID X2 will be available online atwww.verizonwireless.com on May 19 and in Verizon Wireless Communication Stores on May 26 for $199.99 with a new two-year customer agreement. Motorola Mobility, Inc. (NYSE: MMI) fuses innovative technology with human insights to create experiences that simplify, connect and enrich people’s lives. Our portfolio includes converged mobile devices such as smartphones and tablets; wireless accessories; end-to-end video and data delivery; and management solutions, including set-tops and data-access devices. For more information, visit motorola.com/mobility. MOTOROLA and the Stylized M Logo are registered trademarks of Motorola Trademark Holdings, LLC. DROID™ and related properties are trademarks and/or copyrights, in the United States and other countries, of Lucasfilm Ltd. and/or its affiliates. TM & © Lucasfilm Ltd. All rights reserved. Used under license. Facebook is a trademark of Facebook, Inc. Adobe and Adobe Flash are trademarks of Adobe Systems Incorporated in the United States and other countries. Flickr is a trademark of Yahoo, Inc. Android, Google, Gmail, YouTube, Google Talk, Google Search, Google Maps and Android Market are trademarks of Google, Inc. All other trademarks are the property of their respective owners. © 2011 Motorola Mobility, Inc. All rights reserved.